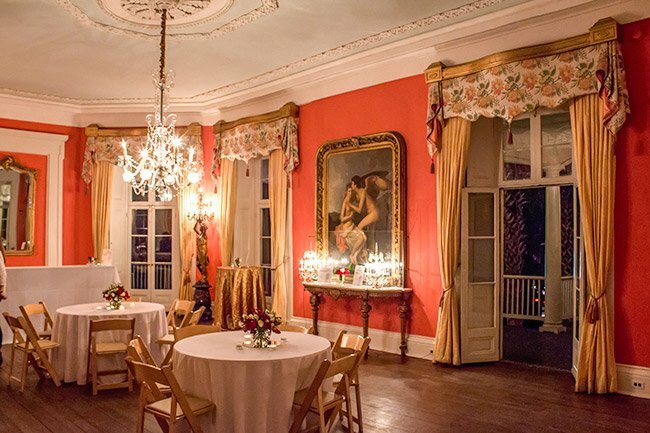 Passersby along historic King Street in Charleston will often hear music and laughter coming from the grounds of the William Aiken House, considered one of the premier wedding venues in South Carolina. 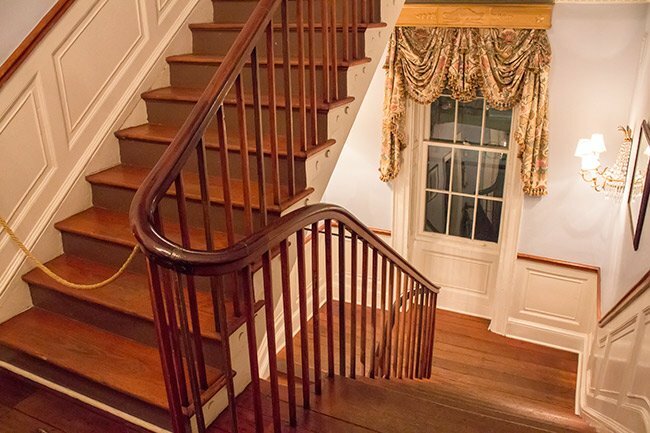 The Adam-style home was built for James Mackie, a wealthy slave owner, in 1807 and purchased by its namesake, William Aiken, Sr., in 1811. 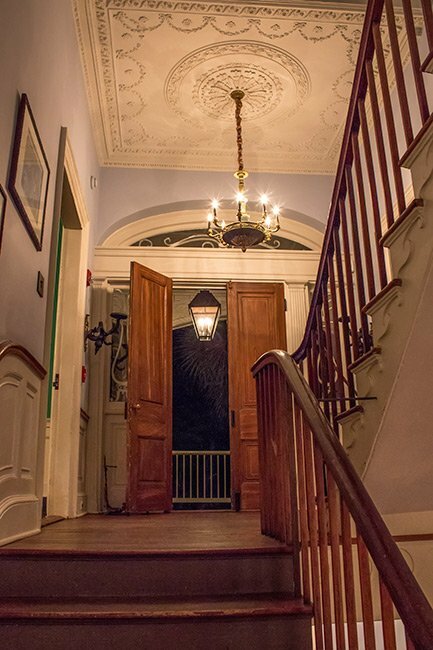 While Aiken used this home as his private residence, another historic Charleston home bearing Aiken’s name, the Aiken-Rhett House, was used as a rental property until his son, Governor William Aiken, Jr., made it his residence in 1833. William Aiken, Sr. is remembered as the founder and first president of the South Carolina Canal and Railroad Company, chartered in 1827, 16 years after he purchased this home. An Irish immigrant and cotton merchant, Aiken guided the company with great success. By 1833, it had built the world’s longest rail line, which stretched 136 miles from Charleston to Hamburg (a now-defunct town near North Augusta). Known as the Charleston-to-Hamburg line, it was the first route in the United States to carry passengers on a regular schedule via steam locomotive. The original line was completed in 1830 and ran six miles from Charleston to Summerville. The company was also the first rail line to carry U.S. mail ands the first to use steam from its inception. Its most famous steam locomotive, the Best Friend of Charleston, was the nation’s first domestically-built steam locomotive and made its inaugural trip on Christmas day in 1830. The original Best Friend tragically exploded on July 17, 1831 when a fireman on board shut its release valve in an effort to eliminate the locomotive’s whistling sound; the fireman died in the accident. When the Charleston-to-Hamburg line was completed in 1833, inland trade routes were established and the state’s economy flourished. Towns along the route were laid out, such as Aiken, founded in 1835 and named for the company president. Sadly, William Aiken, Sr. died in a riding accident in May of 1831 – two months before the Best Friend tragedy – and never saw the Charleston-to-Hamburg line completed, nor did he witness the naming of the western South Carolina city and county in his honor. He also never saw his son, William Aiken, Jr., serve as the governor of South Carolina from 1844 through 1846. 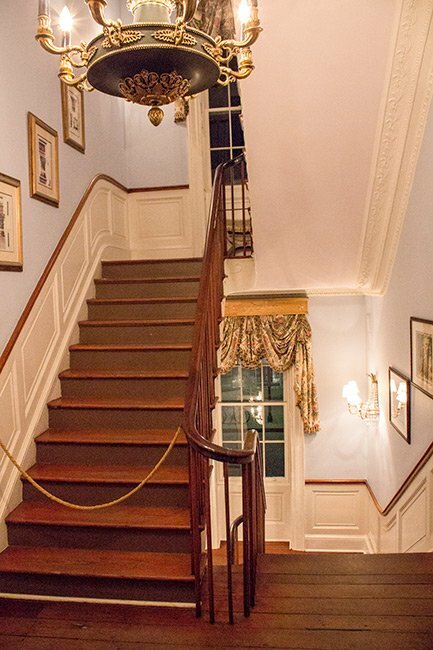 One of the home’s more dramatic features was added by Aiken’s widow following his death. The home’s octagonal wing, which includes a second-story ballroom, was built at the behest of Henrietta Aiken, as was the Gothic Revival carriage house at the back of the property. 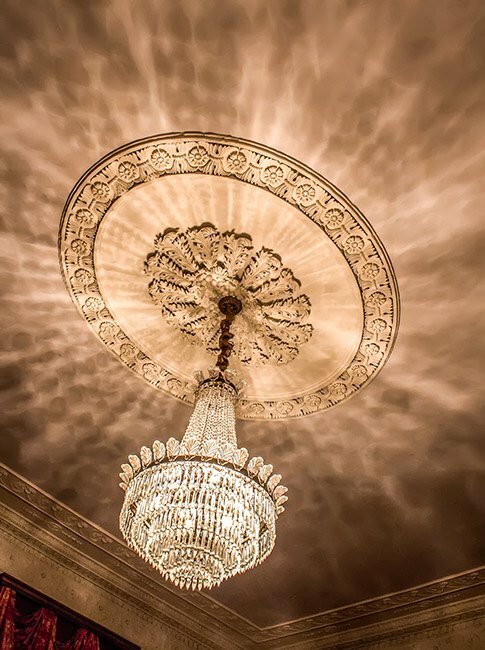 Today the ballroom, seen above, continues to be used to entertain guests, while the carriage house serves as two restored guest suites. 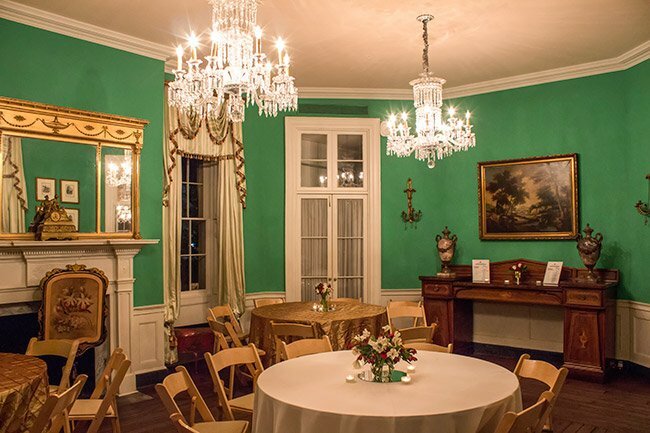 The home’s original fence was removed and donated to the Gibbes Museum of Art in the early twentieth century. 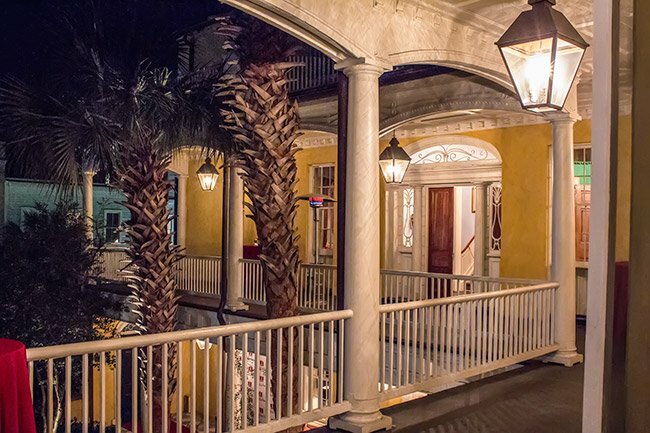 As an event space, the William Aiken House can receive up to 500 guests, offers two courtyards for outdoor entertainment, boasts two ballrooms, and features second-story porches that afford spectacular views of the Holy City. 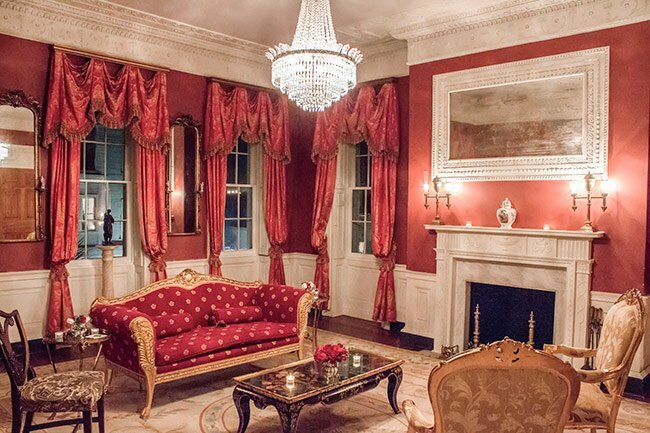 The home also features a gentleman’s study, a sitting room, and a reflecting pool. It is managed by Patrick Hospitality Group. The William Aiken House and Associated Railroad Structures are nationally significant for their role in the development of the railroad industry in the United States. The railroad structures represent the best extant collection of antebellum railroad structures illustrating the development of an early railroad terminal facility. These buildings were constructed as the need for them developed. 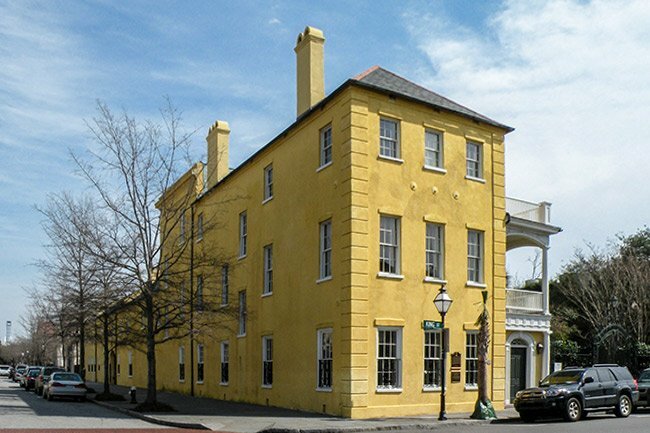 The Aiken House was the residence of William Aiken, Sr., who had a major role in the creation of the South Carolina Canal and Railroad Company and served as its first president. This railroad company was the first to use steam from the beginning of its operations, the first to use an American made locomotive and the first to carry the State’s mail. In addition to the original house (ca. 1807) built in the Adam tradition, the associated structures include the Camden Depot (ca. 1850), Deans Warehouse (ca. 1856), South Carolina Railroad Warehouse (ca. 1857), Tower Passenger Depot (ca. 1850), Line Street Car and Carpenter Shops (ca. 1857), the railroad right-of-way, and the “Best Friend of Charleston” steam locomotive Replica (ca. 1928). Brandon, you do a wonderful job with all your contributions, but I especially enjoyed the photos of this historical location. Great shots. Keep it up.